It's been awhile since I've posted, but stay tuned for coverage of the 2016 Florida Tiny House Festival, how to choose a small camper van and tips on renovating a retro trailer. 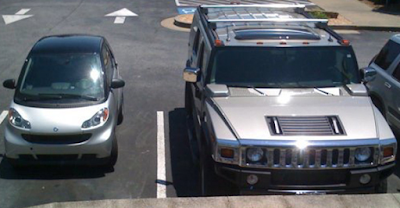 In the meantime, you can fit in the Smart car to get to Thanksgiving dinner, but you might need the Hummer to make it home. Happy Turkey and Tofurkey Day!